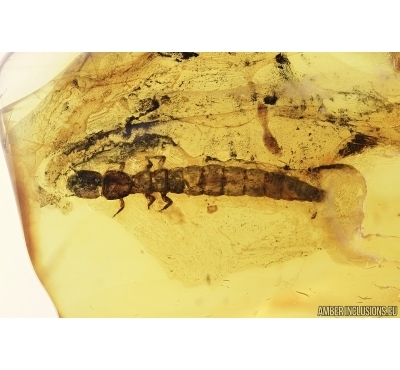 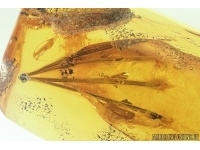 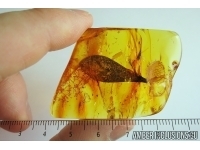 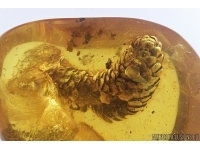 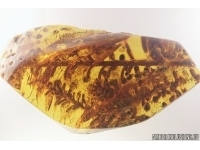 Baltic amber stone with fossil insect - Very Rare Snakefly Larva. 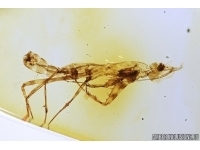 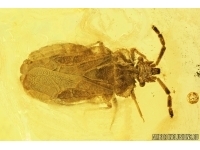 RAPHIDIOPTERA. 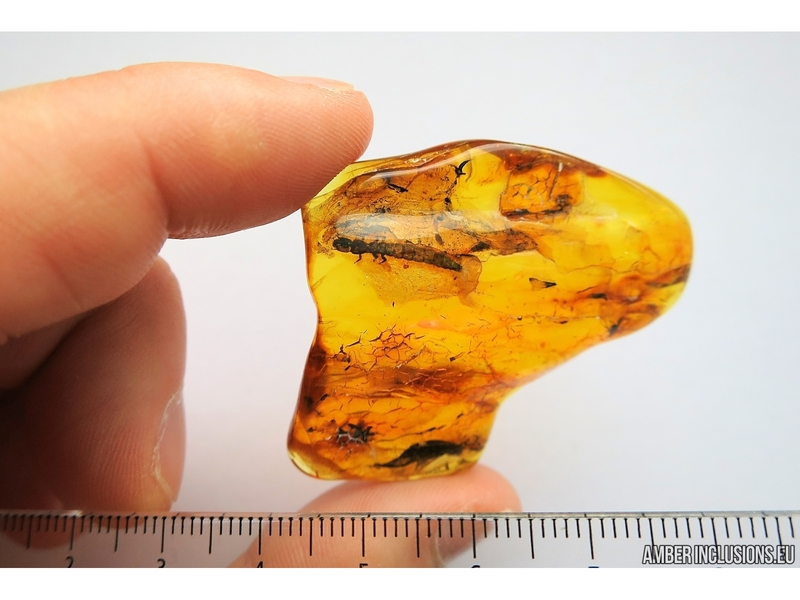 It weighs 9.1 gram. 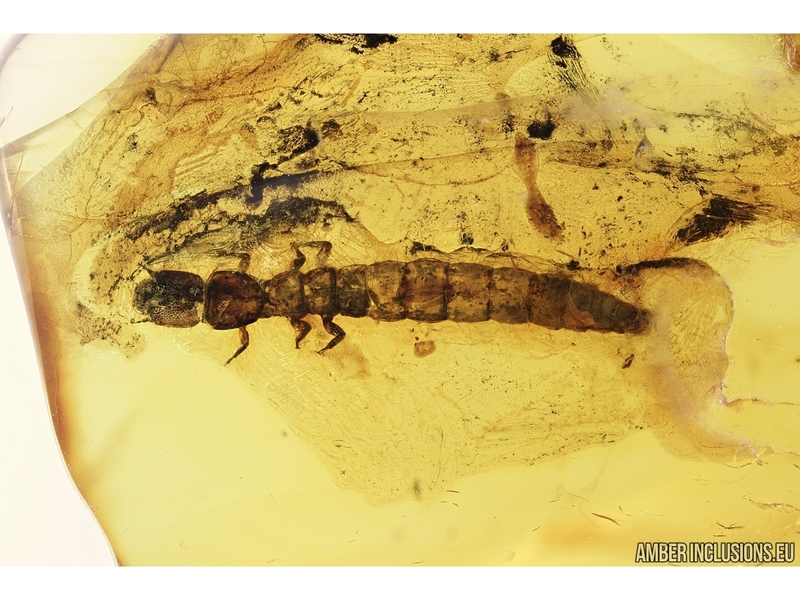 Measurements of stone 50x40x9mm, length of snakefly larva ~14mm.